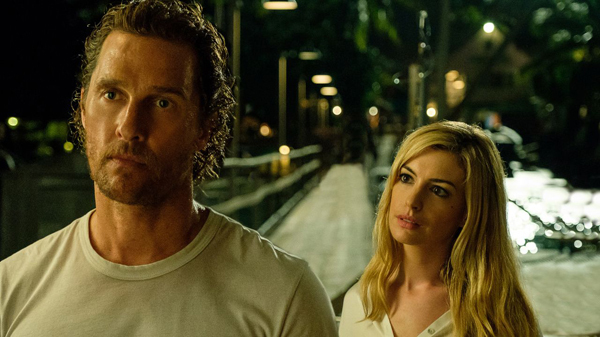 Matthew McConaughey reteams with his "Interstellar" co-star Anne Hathaway in "Serenity," a film noir from writer/director Steven Knight ("Locke"). In the film, McConaughey plays an obsessive fisherman whose ex-wife asks him to kill her new husband, which leads to unexpected revelations. In his review of "Serenity" at The Wrap, William Bibbiani calls the film "a twist in search of a movie, a film noir in search of a purpose, and a great cast in search of better material."